Peel off the skin of banana and cut into round slices. Keep it aside. 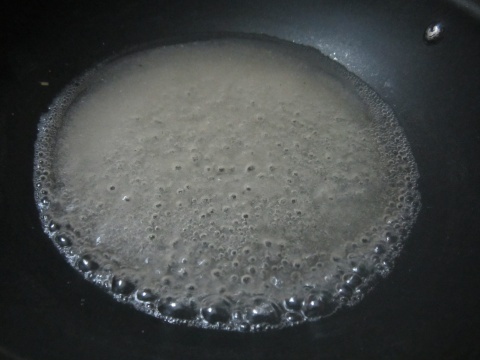 Heat sugar and water in a non-stick pan. When the sugar is completely dissolved and the syrup becomes little sticky (which may take around 2 mins), add banana slices to it. Mix well with the syrup and cook on medium flame. Stir it occasionally. 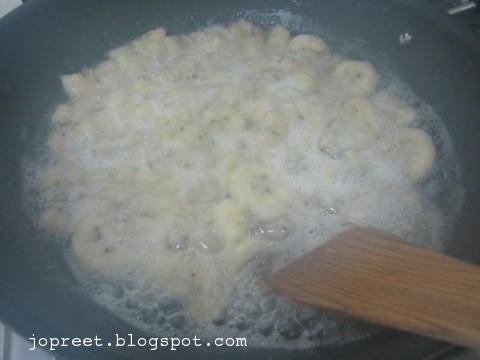 After 5-10 mins, mash the banana using ladle or paav bhaji masher. 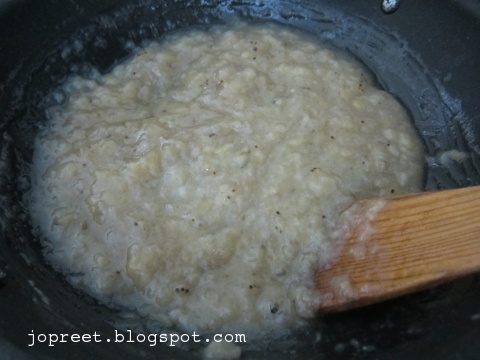 Add cardamom seeds powder and little ghee to it. 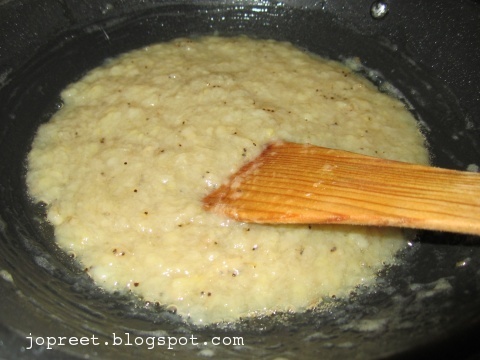 Stir it frequently. 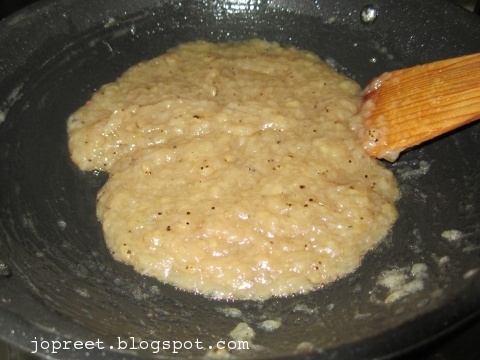 Add ghee little by little and when the halwa starts leaving the sides of the pan, remove from the heat. Serve hot or cold. Wow, that's a great idea! So simple to make, looks yummy! Never tried halwa with bananas, truly irresistible. Innovative idea to use Banana in halwas. Nice and tempting. Packing of the halwa is very nice. Hahaha nice halwa parcel I too need one. This is such a drool. Wow….I'm sure this halwa tastes awesome…. This was a revelation Preety..I am truly amazed with the recipe.Thanks. 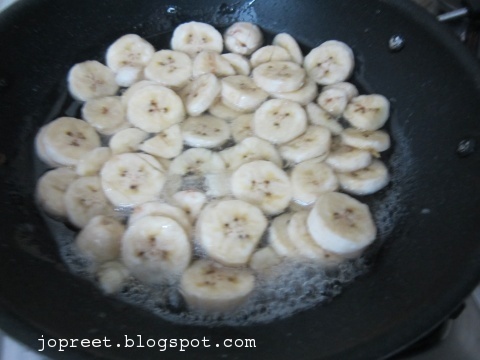 Never tasted halwa with bananas, this looks so yumm.. Wonderful innovative halwa. A must try recipe.